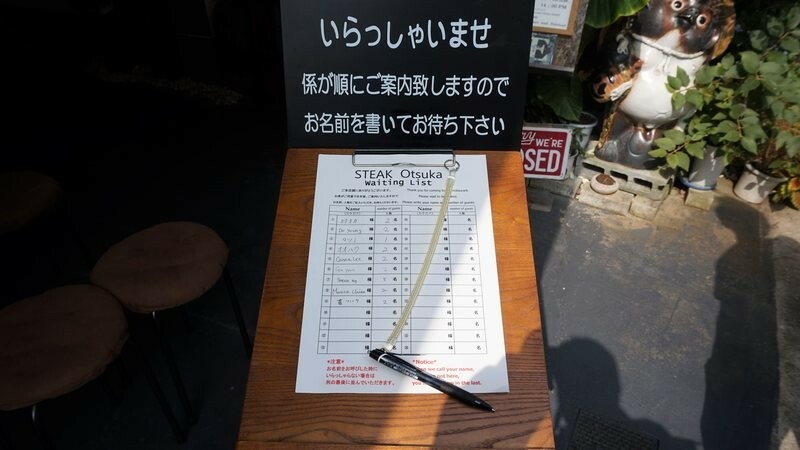 Steak Otsuka in Arashiyama is a peculiar restaurant. It’s located in a house that looks really normal, not like a restaurant at all. And it’s also surrounded by other such houses. The restaurant is located in a quiet residential area, but there’s still always a line in front of it. And it’s only open for lunch! But that’s not all: their steaks are, to say it simply, mouth-wateringly delicious. You also get rice and a salad with the steaks. You can order a 100g or 150g steak, but as the Japanese beef they use is quite fatty, you’ll feel surprisingly full after eating it. Note that short plate, flap, flat iron, and chuck flap steaks are available in both 100g and 150g portions, but 150g is the only choice for sirloin steaks. And for the quality of the beef you get, their prices are pretty reasonable. This steak is called the miracle steak, as there’s so little of it in the market that you rarely run into it except in the finest of dining establishments. The steak is called Murasawa because the farmer raising the cows is named Mr Murasawa. He only ships 80 cows to the market a year! The A5 rank means that it has earned the highest rank in all the matters that matter with beef, be it marbling or firmness. The first bite of this steak is a shock. The sweetness of the fat melts right away, and it’s almost overpowering. The umami in this beef is on a level not usually available to mere mortals. The memory of eating this beef will remain with you to the last of your days. Flat iron steak is a cut from the shoulder of a cow, and it should be a bit chewy. And sure, at Otsuka, it was chewier than the A5 rank wagyu beef, but the little bit of chewiness in it came out as a deep, rich flavor. Like Otsuka describes this steak on their menu, this steak has a robust taste to it. And while I’m saying it’s chewy, it’s only chewy compared to the exceptionally tender Murasawa sirloin steak. Normally you’d call Otsuka’s flat iron steak tender and juicy. When you get to the restaurant, you need to first write your name on this board. You are then called in when it’s your turn. If you want to get in without waiting in the line, the best thing to do is to write your name on the board at 9 a.m. when it’s brought outside, and then go sightseeing in Arashiyama. Just be sure to be back before 11 a.m. or you may end up in the end of the line. They also have some set meals like the beef tendon set for 1,300 yen if you want something cheaper. There’s often a line in front of the restaurants in Arashiyama, but the line in front of this restaurant is an especially long one. But there’s a good reason for this. The beef they serve here is not like what you get at most other restaurants, but it’s some great Japanese beef with nice marbling. I tasted both the legendary Murasawa beef and the iron flat steak, but while they were both great, I actually liked the iron flat steak even more. The sweetness of the A5 wagyu beef was almost a bit too much for me, but still, there’s something about the umami that you just want to have again. For me the perfect choice would be to have half Murasawa and half flat iron steak. So I recommend going with a friend. A 5-minute walk from JR Saga-Arashiyama Station. Accepted online except for April, November, and December. Closed on Thursdays and Sundays. If you make a reservation be sure to come on time, otherwise your reservation will be canceled. They have stools where you can sit when waiting. The menu is in English, they have English explanations of the rules, and the steaks taste great. What’s there not to like?